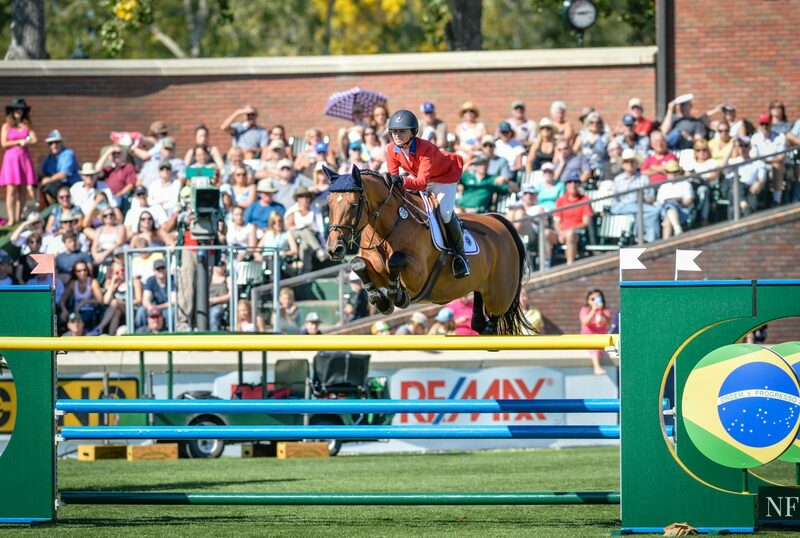 Adoptable horses awaiting new careers got to shine on two glorious, consecutive days this summer at the 2017 Hampton Classic Horse Show! The Opening Ceremony at the Hampton Classic on Sunday, August 27th, featured our parade of the adoptable horses. The horses were then showcased at a Meet & Mingle with Adoptable Horses presented by the EQUUS Foundation on Monday, August 28th, as part of the 7th Annual Hampton Classic Animal Adoption Day sponsored by world-class equestrian and our EQUUStar, Georgina Bloomberg, on Monday, August 28, 2017, and featured dogs, cats and horses in search of forever homes. 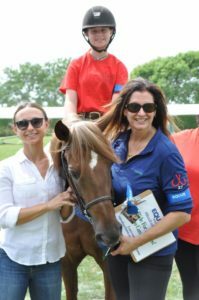 A kiss sealed the deal for Mikey, adopted on the spot for her daughter by EQUUS Foundation EQUUStar and world class equestrian, Brianne Goutal Marteau. Now healthy and stunningly beautiful, Mikey was rescued at auction by 13 Hands Equine Rescue in an emaciated and neglected condition. 13 Hands Equine Rescue was one of the five featured equine charities that were invited to join the EQUUS Foundation with adoptable horses at the Hampton Classic event. 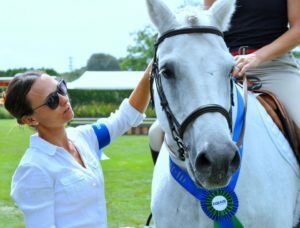 “Mickey Blue Eyes will now serve as an Ambassador for so many other beautiful horses like him who just need a chance,” said Brianne. Award-winning author, renowned Animal Welfare Advocate and Host of Animal Planet’s upcoming Dog Bowl Specials, Jill Rappaport, EQUUS Foundation Founder and President, Lynn Coakley, EQUUS Foundation VP of Communications, Valerie Angeli, EQUUStar Brianne Goutal-Marteau with Mikey along with the horses of five equine charities drew the applause of crowds on the walk around the Hampton Classic Grand Prix Field to kick off the opening ceremonies. 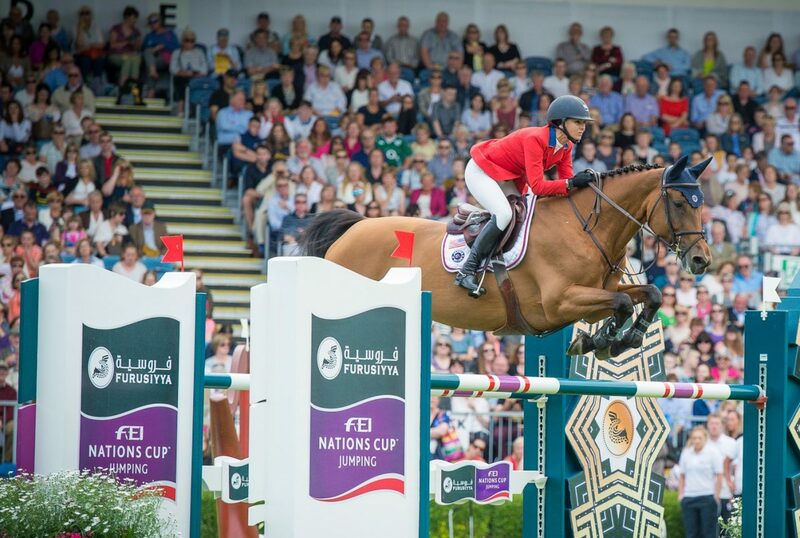 The five equine charities chosen by the EQUUS Foundation to participate included: 13 Hands Equine Rescue, New Beginnings Thoroughbreds, Our Farm Equine Rescue, Rerun, and Rising Starr Equine Rescue. Hampton Classic Executive Director Shanette Barth Cohen welcomed guests to the Hampton Classic Animal Adoption Day Meet & Mingle with Adoptable Horses. 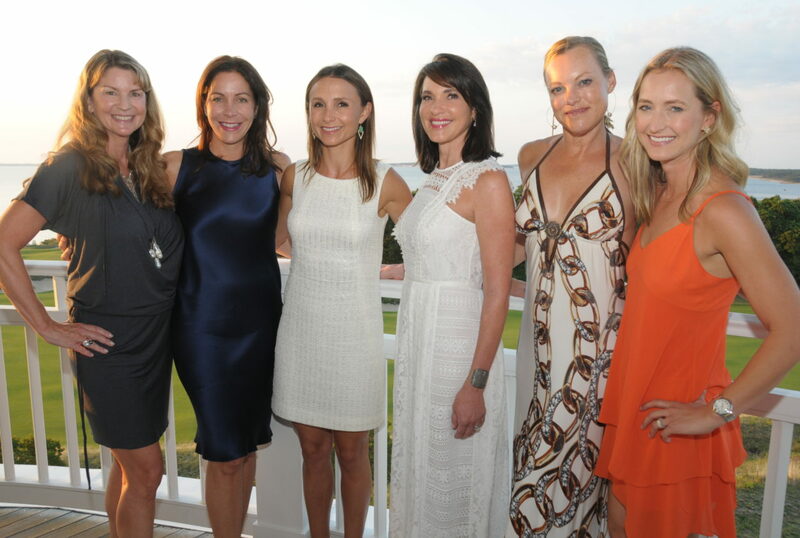 Joining her for opening remarks were EQUUS Foundation VP Communications, Valerie Angeli, and EQUUSstars Georgina Bloomberg and Brianne Goutal-Marteau. Spectators were encouraged to “Meet and Mingle” with the adoptable horses and learn their stories from their handlers. 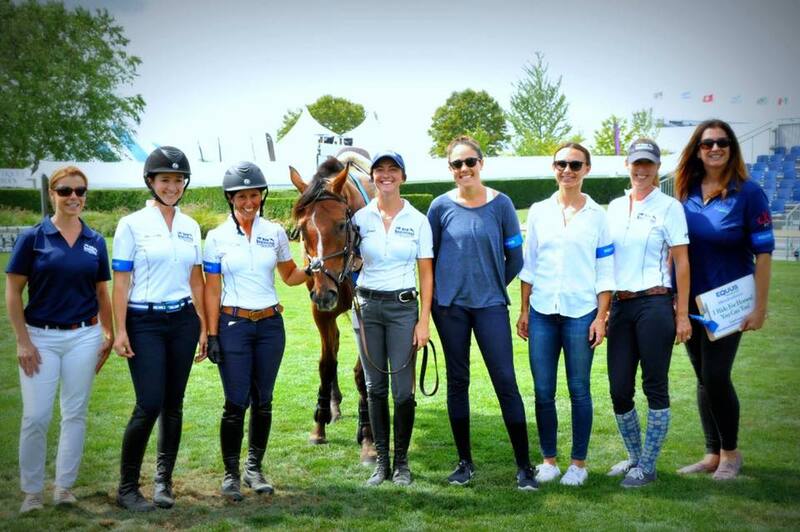 “We are so grateful to the Hampton Classic and Georgina Bloomberg and Gotham North Enterprizes for this incredible opportunity to showcase our work and to promote horse protection and the timeless bond horses have with people at the most beautiful horse show in the world,” said Angeli. A special thank you from the EQUUS Foundation to Montauk Tackle Company for the custom logo shirts for EQUUS Foundation staff and the logo saddle pads gifted to all adoptable horses – and for donating 15% of all sales at their boutique at the Hampton Classic during the week to the EQUUS Foundation! As well, thank you to Noosa Yoghurt, Wolffer Estate Vineyards, Boar’s Head and Essentia Water for providing snacks at our Equine Adoption event and to the HEART Horse Ambulance which joined us in the ring at our event and was open for tours and demonstrations of their state-of-the-art life-saving horse rescue equipment. 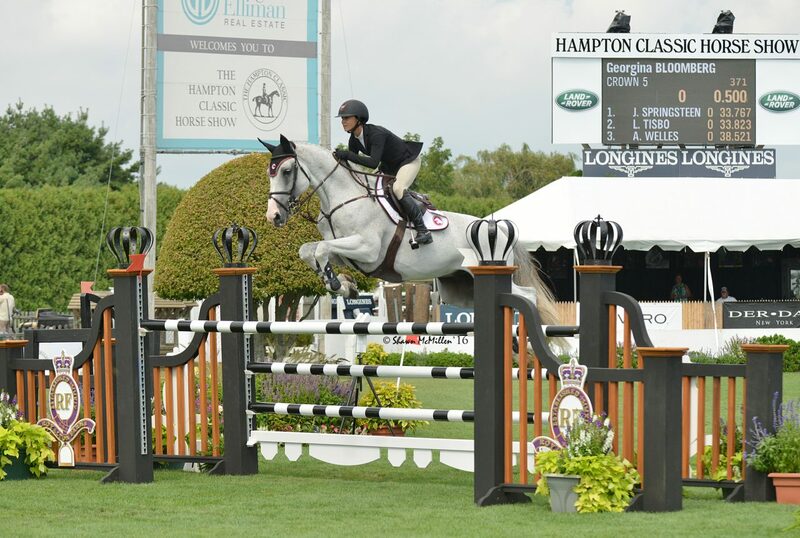 What a wonderful week for all horses at the Hampton Classic this year, and we loved being a part of it!